As we usher in 2019, this is one thing that is on the top of all the salespeople’s minds. Everyone is all back at 0% right from the start of the year, January 1. So, why not take some advantage of the clean slate! Let’s set ourselves up for success with the following tips. What did the prospects who bought from you and who didn’t have in common? What worked in competitive deals and what didn’t? What were your best moments last year and what helped you to achieve them? What were the worst moments last year and how they could have been better? Were there any best or common practices that consistently worked across varying deal types? There’s no other time like the present to rid yourself of all the bad habits. The more closely you understand your successes and failures, the more familiar you become with what works the best and what doesn’t. Your goals define everything you do. As soon as you get to work, you should be having your own set of tasks that you’re ready to conquer. Not having the tasks and goals set can slow you down eventually hurting your efficiency and quota achievement in the long run. Set aside 10 minutes a day every day to jot down the most important tasks to be completed for the day. It could be sending 6 different emails, making 3 follow up calls, or reminding yourself to talk about certain issues during a meeting. Meanwhile, you still have a number to hit so keep reviewing your past deals and keep a tab on average deal size and length of your sales cycle to calculate how many product demonstrations, closing calls, and prospecting activities you’d need to complete to hit your number. Once you’re back at a steady cadence, you can then level off to meeting your daily and weekly benchmarks easily. Start proactively reaching out to the prospects early in the year; identify your “whales” and start working on those largest target accounts. And clear the clutter by removing all those deals that are not going to close to get a clear sense of how you are doing while entering the new year. The amount of sales collateral that Marketing produces might be overwhelming to keep up with during the year, but there’s no better time than the New Year to get up-to-date. Go through your computer and dump any outdated files, and make sure you’re only sending your prospects new, fresh material from here on out. You don’t want October to roll around only to realize you didn’t start working those accounts early enough. People want to work with the ones they like and trust. Hence, being personal and nice to your clients becomes imperative. Take time to know them at a personal level – Do they like sports? Do they enjoy shopping? Do they have a family? This will help you reach out your prospects and engage effectively thereby building the most important factor of sales: trust. Engage and re-engage with all those customers, go through all those deals lost and check-in to see how they’re doing and how you can help them. If they turn out to be in the market again, you’d just get to start a relationship with a familiar prospect which could also be your brand’s best ambassadors eventually. Courtesy Goes a Long Way! 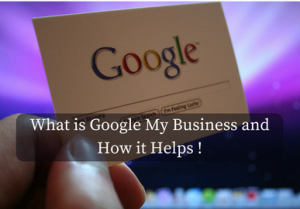 What is Google My Business and How It Helps? Good blog site its interesting. thank you for sharing….